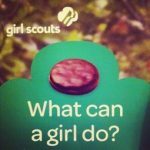 Did you know that 59% of women in the U.S. Senate and 60% of women in the House of Representatives are Girl Scouts alumnae? As a little girl, I was never a Girl Scout. It just wasn’t something a lot of girls in the area did, and if they did do it, I was completely unaware. 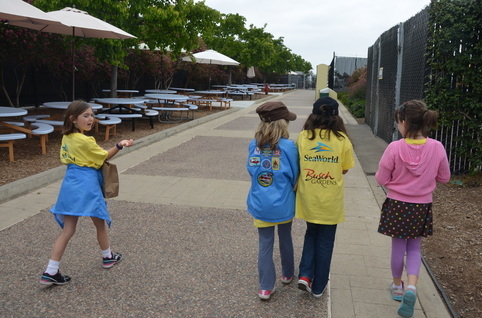 My daughter joined Girl Scouts in Kindergarten as a Daisy and she is now in her first year as a Brownie. 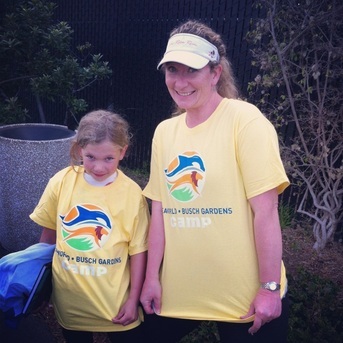 Her experience with this organization has been fantastic, and I must say mine has been too. Last weekend we went camping…and not just anywhere. 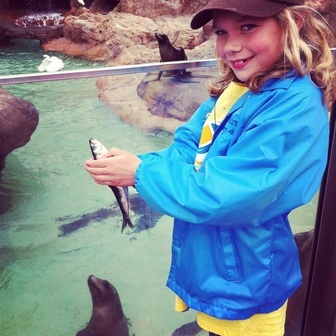 We went camping at Sea World in San Diego. Unfortunately it was the same day as Burbank On Parade, so I had to make my choice and as much as it pained me to miss my very favorite Burbank event, I knew the opportunity to do this with my little girl wont come as often as I like…it was a no brainer. So, camping we went! My husband was out of town on work, so I recruited my brother and his wife to take the other two kids overnight for me. Sea World was so incredibly organized and prepared for us, and the handful of other groups camping there that night, we never had any question on where we were to be or what we were doing next. Having great Girl Scout leaders also helps there too. Thank you ladies for that. 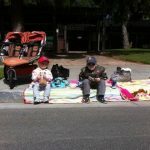 We arrived early Saturday morning and after checking in, we were able to spend the entire day in small groups exploring the park, seeing the shows and eating ice cream, cotton candy and a few real foods too. 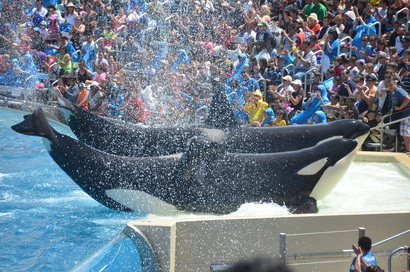 We saw everything we could see, including the shows and animal exhibits, but there was an element missing… people in the water with the whales. Let me explain lest I have any groups angry at me. 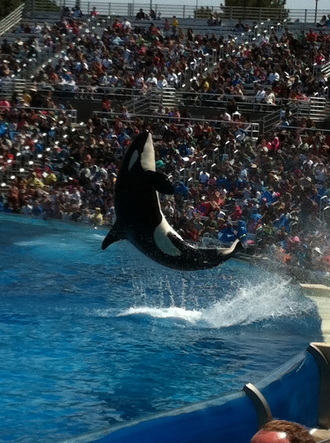 As a child growing up near a Sea World in Ohio (which closed in 2001), the excitement for me was watching a person be thrown several feet up into the air, from the nose of a whale. It was amazing. Any animal smart enough to be trained in the way an Orca or dolphin can be trained is just spectacular, but there was something very special about the way a person could get in the water and interact with these enormous creatures. However, I was a child then. I know different now. I have a different perspective and since the tragic death of Dawn Brancheau and a few others, I think it’s wise to reconsider…not just wise, but imperative. The shows were still brilliant. Sea world has created more of a human element to the dolphin show, from what I can remember anyway. This includes a little trapeze/bungee work and high dives. We purposely sat in the splash zone at that show, but fortunately or unfortunately, didn’t get wet. 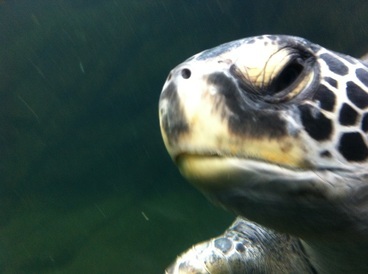 Inside The World Of The Sea….Dude. 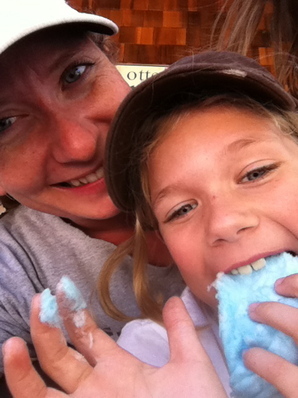 We had a terrific day at Sea World, but my favorite part was when the park was closing. We were able to sneak out to get our overnight gear and were told we were sleeping in The World Of The Sea. I was happy, because that’s where the Sea Turtles were, and I thought there would be nothing more peaceful than sleeping at the feet of slowly moving ocean animals. 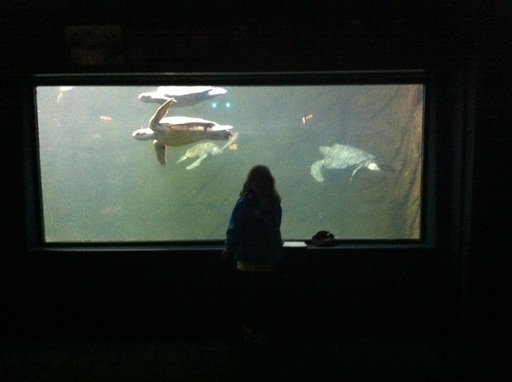 Turns out I slept looking at sharks, but it wasn’t all that bad. Before we were able to set up our sleeping bags, we still had a full night of adventures waiting for us. We were up until Midnight folks. Midnight! I haven’t been up that late in years, intentionally anyway. 10:30pm and we’re in class! We split up into smaller groups and began the Education Program that is included with overnighters like this. We learned the difference between Sea Lions and Seals, we got a behind the scenes look at the literal Shark Tank, we studied the differences between shark teeth and what kinds of prey each is for and we hand fed Bat Rays. I’m not lying when I tell you I was giddy. 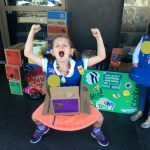 I was so happy for my daughter and the experience she was getting through Girl Scouts to do this. I’ll just say, staying up until Midnight was no big deal. It was truly some of the most fun I’ve had in a long time! We camped out on the floor in The World of The Sea. 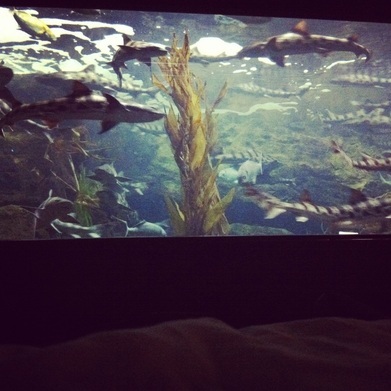 Shelby and I shared space and watched sharks swim back and forth as we fell asleep. It probably took me .02 seconds to fall asleep though..sharks and all. Getting up off the floor in the morning helped me understand how old I really am getting and a camping experience just isnt the same without a camp counselor saying “Good Morning Campers…rise and shine!”…. at 7 am. I hurt, I was tired and I was happy. 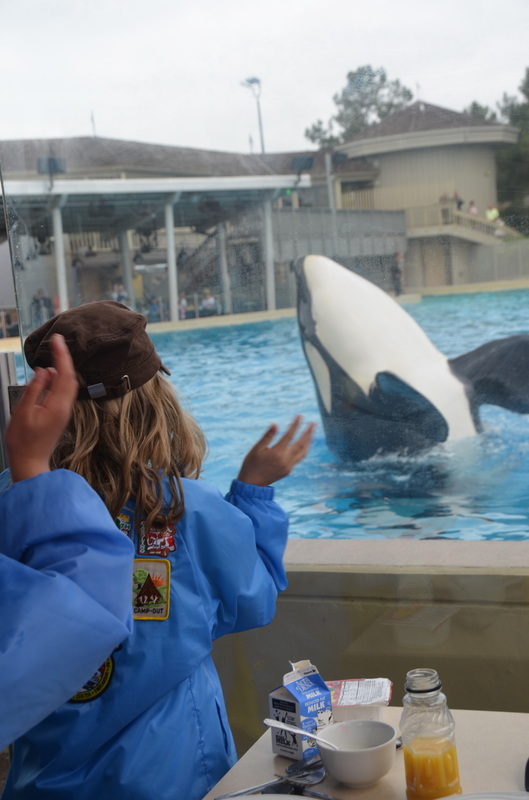 Our adventure didn’t end there though… we got to feed the Sea Lions their breakfast and we got to eat our own breakfast while watching Shamu get a training session in, merely feet from us. One on one time is always sweet. Everything about this adventure was awesome. 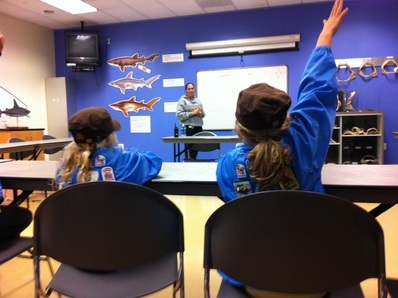 I highly recommend getting your group..or troop together to have an overnighter at Sea World in the Education Program. It’s very hard to get quality one on one time carved out for each of my kids, but the time I was able to spend with Shelby is priceless and I’d do it again in a heartbeat. 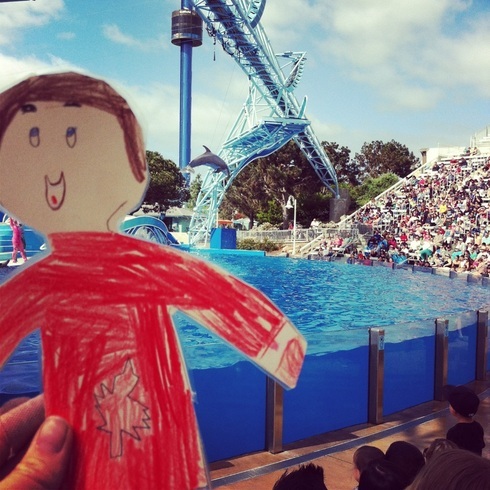 We even had a Flat Stanley from Michigan with us!